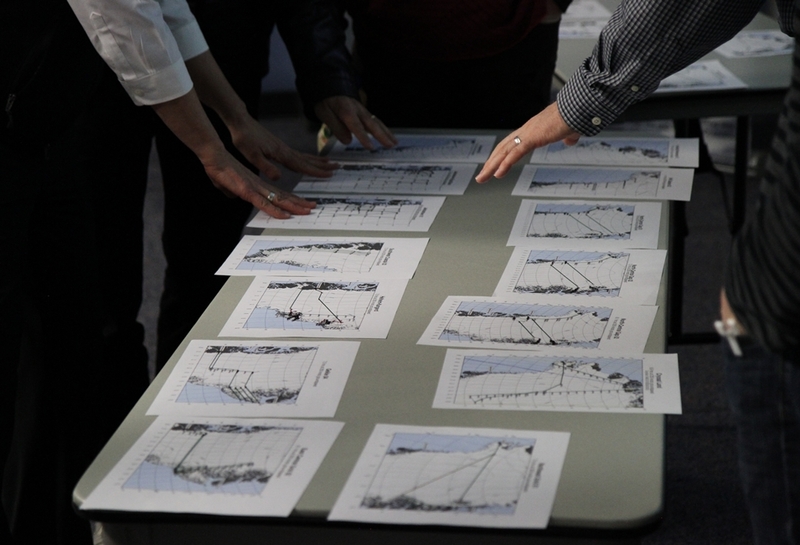 An IceBridge field campaign is the culmination of months of planning and preparation. At January’s science team meeting, scientists focused the campaign’s goals and provided mission planners the details needed to finalize flight plans. With these final details ironed out the next step was to start preparing the tools of the trade, IceBridge’s aircraft and instruments. 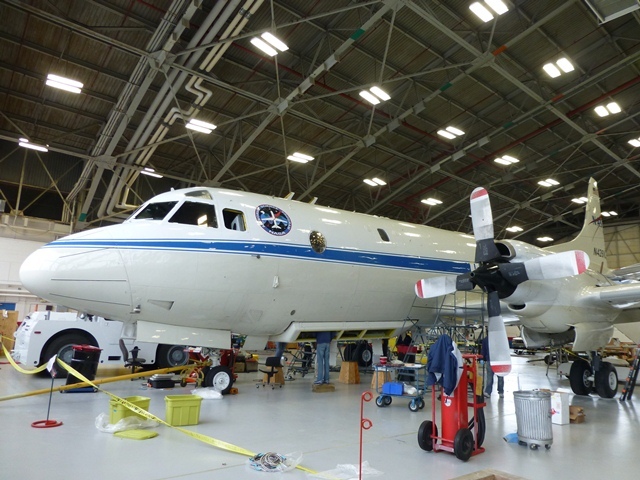 For the past several days, instrument teams and aircraft technicians at NASA’s Wallops Flight Facility in Wallops Island, Va., have been getting the P-3B ready for the 2013 Arctic campaign, which is scheduled to have its first science flight on Mar. 20. After the aircraft’s maintenance is complete and the previous mission’s equipment has been removed, the IceBridge team starts installing the mission’s suite of science instruments. This process can be generally divided into a few portions: installing the instrument and the equipment needed to control it and collect data, testing the individual instruments and checking to make sure the aircraft and instrument suite work together as they should. The first step is installing the components that gather the data, such as cameras, radar arrays and laser transceivers. The Airborne Topographic Mapper (ATM) laser and Digital Mapping System (DMS) cameras are installed in bays on the underside of the aircraft. Each of these instruments looks down through windows in the plane’s belly. 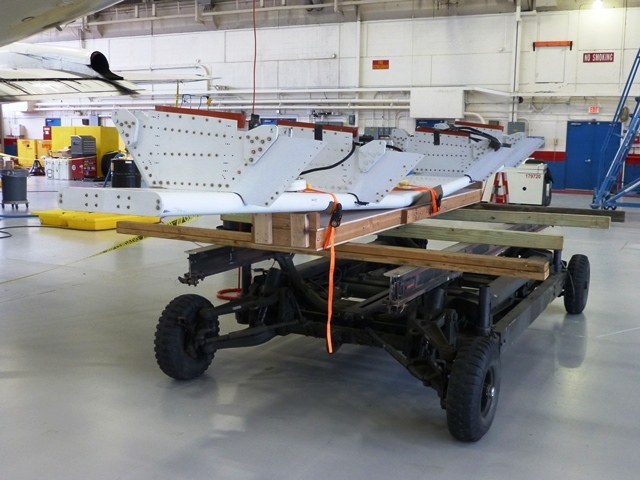 The Multichannel Coherent Radar Depth Sounder (MCoRDS) antenna is attached to the underside of the aircraft. Previously this has included antennas under the wings, but IceBridge is flying with a trimmed down MCoRDS instrument with an array beneath the P-3B’s fuselage.Additional radar instruments like the accumulation and snow radars and Ku-band radar altimeter are also installed at this time. 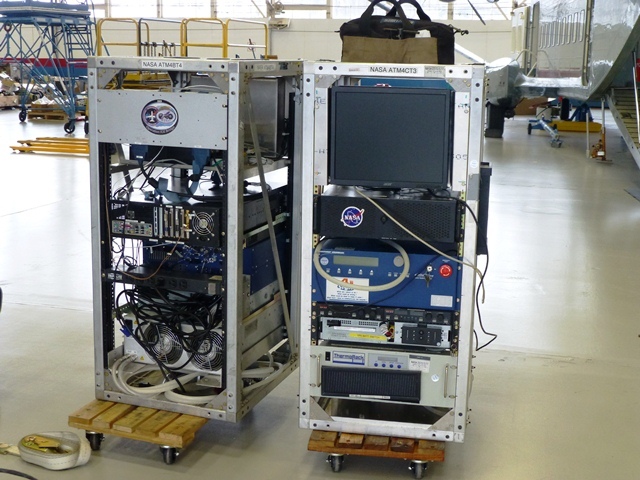 While this hardware was being installed on the plane, other members of the instrument team put together all of the hardware needed to operate the instruments in metal racks that are then securely bolted to the floor of the plane. Making sure everything is securely fastened is crucial because of the often turbulent nature of low-altitude polar survey flights. Once everything is in place and secured the next step is to make sure the instruments work properly. This means rounds of testing both on the ground and in the air. 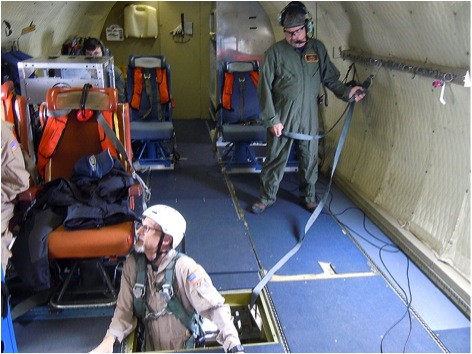 Ground testing involves checking instrument connections and alignment. “We’ll check on the camera to make sure it’s seeing through the window ok and not catching the edge,” said DMS field engineer Dennis Gearhart. Everything being used in this IceBridge campaign has flown before, but it’s important to make sure the instruments are working properly.”We want to make sure things work as well as they did when they were put into storage,” said ATM program manager James Yungel. To do this, the ATM team will bounce the laser off a ground target 500 feet away. The real test of all this work comes with the mission’s check flights on Mar. 13 and 14. The first flight, known as an engineering check flight is carried out with flight crew only and is to ensure that everything is properly installed and secured. 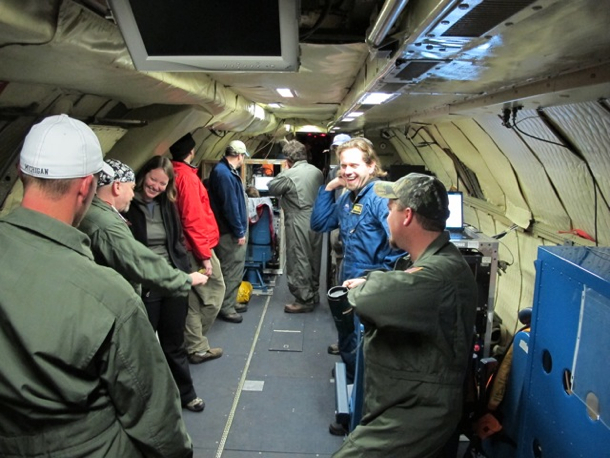 Scientists and instrument operators participate in the second flight, where instruments are powered on and tested. “The check flights are a final arbiter,” said Yungel. This year’s IceBridge Arctic campaign will run from Mar. 18 through May 3. The P-3B will operate out of airfields in Thule and Kangerlussuaq, Greenland, and Fairbanks, Alaska. Large scientific missions like IceBridge take continual planning to keep running. In addition to regular telephone and email collaboration, IceBridge researchers meet in person twice a year to discuss the mission’s science aims, results and plans for future campaigns. 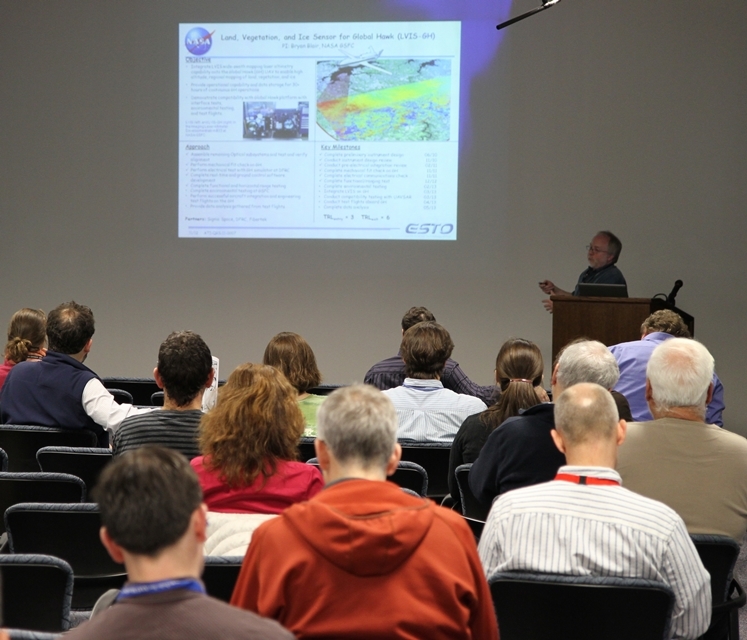 The first of 2013’s IceBridge science team meetings and the annual meeting of the Program for Arctic Regional Climate Assessment (PARCA) took place at NASA’s Goddard Space Flight Center in Greenbelt, Md., Jan. 29–31. Presentation topics at both meetings ranged from the use of IceBridge data in seasonal sea ice forecasts to the use of radar to image layers in ice sheets to new algorithms for mapping bedrock beneath the ice.Other presentations included status updates for instruments like the Airborne Topographic Mapper (ATM) and Land, Vegetation and Ice Sensor (LVIS) and a look ahead at NASA’s next-generation polar monitoring satellite, ICESat-2. The PARCA meeting started on Jan. 29 with sessions on newresearch and novel ways to work with IceBridge and other cryospheric data. Participantsclosed out a busy day with a remembrance of cryospheric scientist SeymourLaxon, whose unexpected death earlier in the month shocked the polar sciencecommunity, and a poster session and dinner at Goddard’s recreation center. PARCA sessions finished up on the morning of Jan. 30, covering integrating IceBridge data, radar mapping of ice sheets and next steps in ice sheet physics. After lunch, the IceBridge science team meeting started, with breakout sessions by the sea ice and land ice science teams. In these sessions,science team members discussed research and plans for the upcoming IceBridge Arctic campaign and beyond, including collaborations with various other groups outside of NASA. 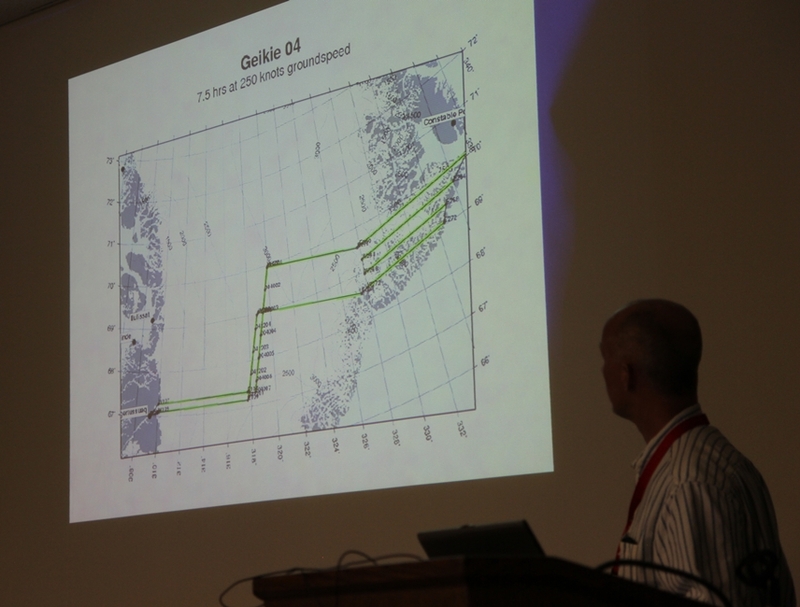 Later in the day, ATM senior scientist John Sonntag presented planned flight lines for the 2013 Arctic campaign and invited comments on suggestions for ways the lines can better meet IceBridge’s science goals. 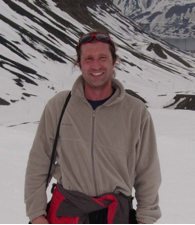 Michael Studinger is Operation IceBridge’s project scientist. He trained as a geophysicist in Germany, his home country, before moving to the U.S. to take a position at the Lamont-Doherty Earth Observatory and then transferring to NASA Goddard Space Flight Center in 2010. Studinger has been studying polar regions for 18 years, expanding his initial focus on the geology and tectonics of the Antarctic continent to the overall dynamic of polar ice sheets. 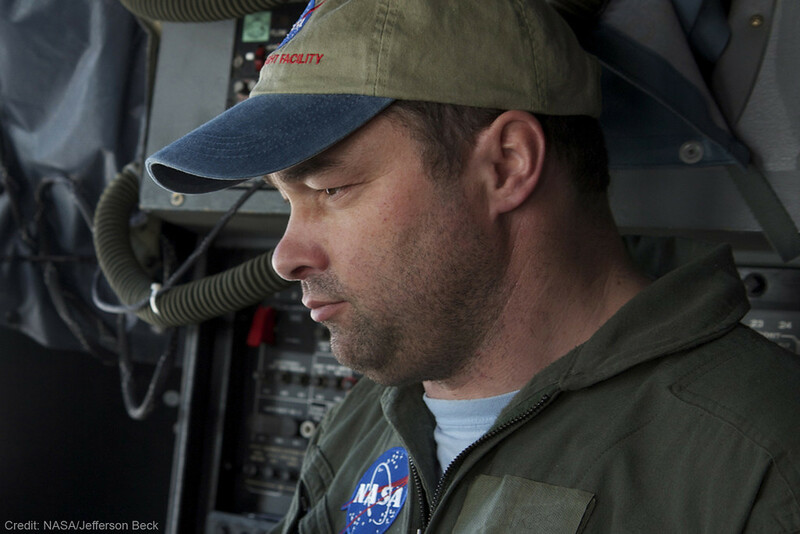 Studinger recently returned from Greenland, where he was leading Operation IceBridge’s 2012 Arctic campaign. This was IceBridge’s fourth Arctic campaign. How different was it from previous years? We flew more than last year: During the 75 days we were there, we only had to cancel a single flight because of weather, something I’ve never seen before. Regarding sea ice, we have expanded coverage in terms of area. For the first time we went to the Chukchi and Beaufort Seas to collect data there. But the biggest change this year is that we published a new data product that we had to deliver to the National Snow and Ice Data Center before we even returned from the field. This product is being used by modelers and other scientists to make a better prediction of the annual sea ice minimum in the summer. We can now feed ice thickness measurements from March and early April into these predictions and see how they improve them. 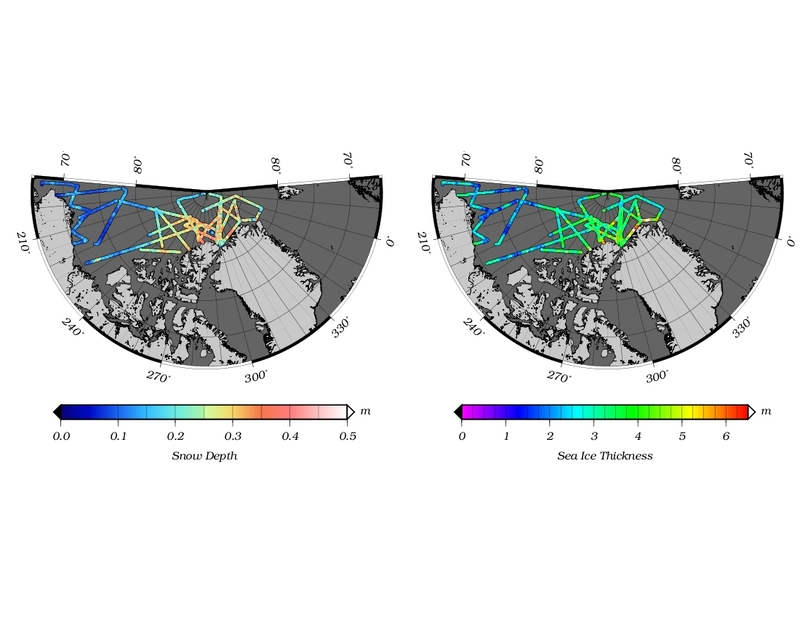 What are the benefits of improving Arctic sea ice minimum predictions? There seems to be enough people who have an interest in finding out how thick or thin the sea ice will be. People who live in the Arctic and shipping companies…they want to know, they want to prepare. It’s like long-range weather forecast: People who grow crops would like to know if they’re going to get a wet season or a dry season. Also, it’s a relatively short-term prediction, so we’ll soon find out if the models are working or not. It helps building better models because you can compare the results to the reality in a few months. 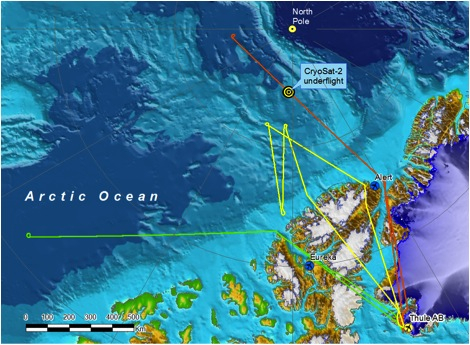 This Arctic campaign, you teamed up with CryoVEx, ESA’s calibration and validation campaign for the CryoSat-2 satellite. How did it go? We did two coordinated flights with them. We were in Thule, Greenland, and they were in Alert, Canada. We both took off at the same time and made sure we were over the same point in the Arctic Ocean with CryoSat-2 flying overhead. It was quite a bit of a coordination effort. We measured the same spot along the satellite track within a few hours. The CryoVEx team has instruments similar to ours, but also some that we don’t have. IceBridge has unique instrument suite for sea ice that includes the world’s only airborne snow radar. By combining all the data from all the instruments, we can learn a lot about what each instrument is seeing and what CryoSat-2 is actually measuring over sea ice. How’s your average Arctic campaign? We start in Thule because we want to get the sea ice flights out of the way early on, as long as it’s cold over the Arctic Ocean. It’s still fairly dark there, that far north [Thule is 750 miles north of the Arctic Circle]. We have just enough light in the second half of March to fly the sea ice missions, during the first three weeks of the campaign. Then we go down to central Greenland while it’s still cold there and start doing ice sheet flights, for three or four weeks. Then we go back to Thule because it’s getting too warm in southern Greenland, and we finish the ice sheet flights in the northern half. 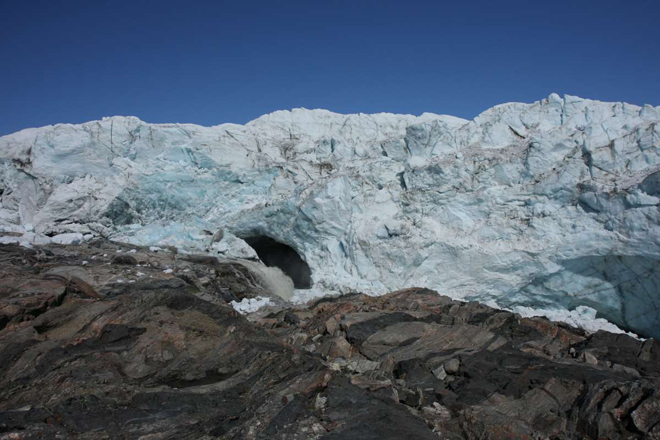 Can you describe your daily routine while in Greenland? We get up at 5 a.m. In Kangerlussuaq, we try to be in the air at 8:30, and in Thule we try to be flying at 8, when the airport opens. Eight hours later, we land. After that, we have a science meeting where we talk about how the flight went and the plan for the following day. Then we eat dinner, check email, look at data… all that before we go to bed and do it all over again the next day. How do Arctic and Antarctic campaigns differ? We use different aircraft: a P-3B for the Arctic and a DC-8 for Antarctica. 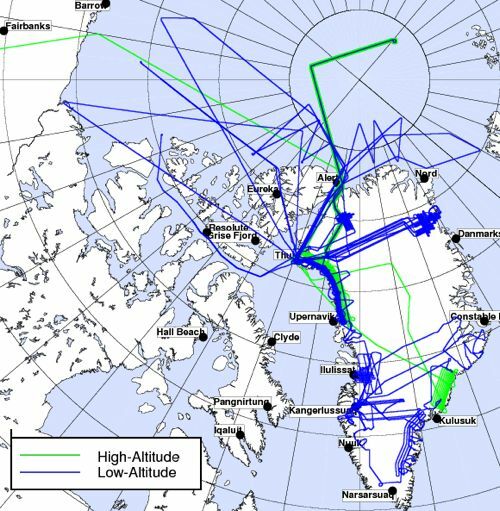 In Greenland, when we fly out of Kangerlussuaq or Thule, we start collecting data pretty much right away, except for the sea ice missions. In Antarctica, we “commute” from Punta Arenas in southern Chile, which takes a few hours. Then we can only collect data for a few hours before we go back home to Punta Arenas. Typically, in the DC-8 we fly for 11 to 11.5 hours, much longer than the about 8 hours of flight with the P-3. 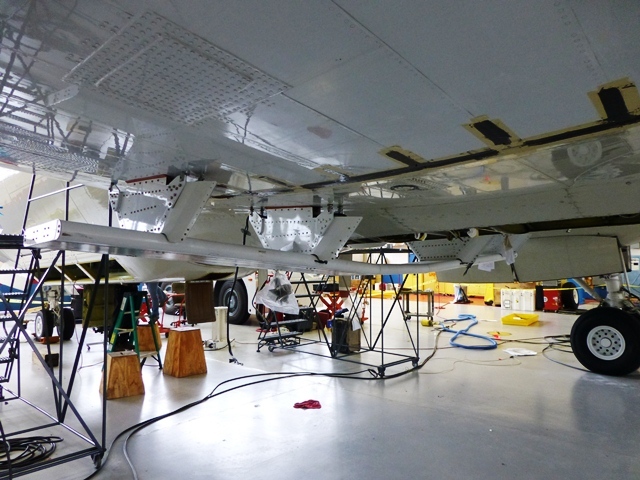 We actually fly more instruments on the P-3: the accumulation radar and the magnetometer (which is much easier to install on the P-3 than on the DC-8). We don’t really have the room in the fuselage to mount the accumulation radar antennas and there’s not really much of a need to use it in Antarctica. 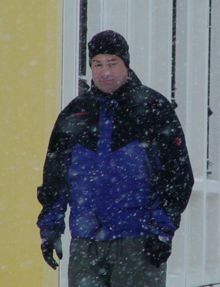 The snow accumulation in Greenland is higher. We can actually see annual layers with the accumulation radar but it’d be far more difficult in Antarctica because less snow falls there. Personally, do you prefer one campaign to the other? No, they’re just different. It’s a different airplane: the DC-8 is much more comfortable, less noisy. You don’t have the vibration of the P-3, so you can actually get a lot of work done on the transit flights. But the flights are very long. And scientifically, is one campaign more interesting than the other? Not for me. Most of my work I’ve done in Antarctica, but I’m getting more and more interested in what Greenland has to tell us. If you look at the two biggest glaciers we study, Jakobshavn Isbrae in Greenland and Pine Island Glacier in Antarctica, the kind of mechanism through which both glaciers are losing ice is similar — warm ocean water is melting the ice from underneath. So we’re studying similar processes. Antarctica is far more challenging to get there and collect data, but from a scientific point we need to do both, otherwise we’re missing part of the picture. What’s the 2012 Antarctic campaign going to look like? It’s going to be shorter for a number of reasons, mostly because the aircraft has already been committed for an international multi-aircraft experiment in Thailand, and it’s also committed afterward. We’ll try to fly as much as we can, we’ll be using two aircraft: a G-V from the National Science Foundation, flying at high altitude, and NASA’s DC-8 flying low. What will the future bring for IceBridge? The plan is we will start using unmanned aerial vehicles and we’ll probably be doing it mostly over sea ice in the Arctic Ocean, but we don’t know the details yet. We will be doing some test flights over the Arctic Ocean later this year with the Global Hawk, either with the radar or laser altimeter onboard. I don’t think we can replace manned aircraft completely over the course of IceBridge. After ICESat-2 launches, will IceBridge continue to some extent? There will always be airborne campaigns to some degree, because there are some datasets that we can only collect from planes, and we will also need to calibrate and validate the satellite data. We need a variety of different scales, wavelengths, different types of measurements in order to really answer the science questions that we have, such as what is the contribution of Greenland to sea level rise in the next 20 or 30 years. For example, if we only have ICESat-2 collecting measurements of how the surface elevation is changing, we’ll know a lot, but we’ll never be able to answer with certainty what is causing these changes. It’s almost like you’re taking the pulse of a patient; you’re only looking at the symptoms of the illness without understanding what’s causing it. In order to find out why the ice sheet is changing its surface, we need to understand what’s beneath the ice sheet because that’s what’s driving a lot of the dynamic changes. And those are datasets that you can’t collect from space, you need an airplane to go in there and get the greater picture of what’s below there and other things, like snow accumulation, which can be done much better from airplane. It’s not a single satellite that will provide us the answer, not a single airborne measurement – it all has to come together. A Spanish version of this post is available on National Public Radio’s Science Friday blog. 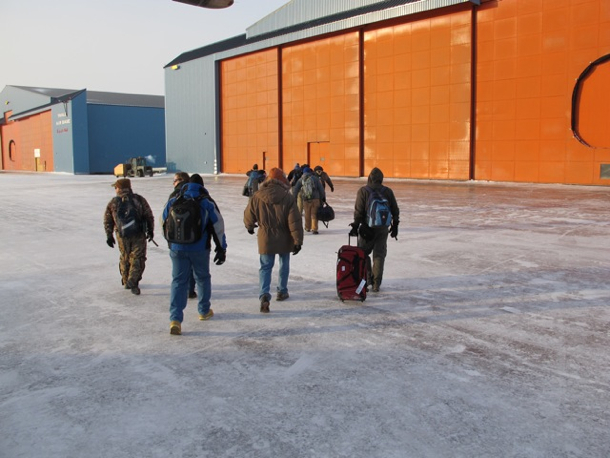 Thule Air Base, Greenland — The IceBridge team arrived in Thule last week and the campaign is off to a good start. We flew four out of five days last week and accomplished three sea ice missions including an underflight of the European Space Agency’s CryoSat-2 satellite over the Arctic Ocean. After a week here in Thule, we are settled in and our operations have become routine. 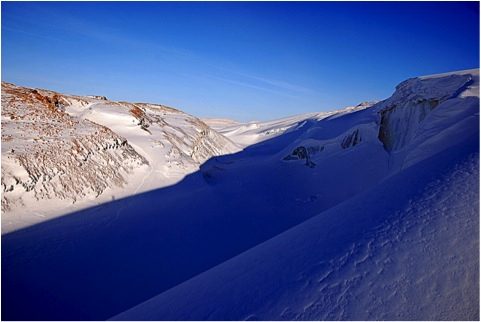 A typical IceBridge day in Thule Greenland starts at 5 a.m. when my alarm clock goes off. I start downloading satellite images to get an idea which missions may be possible to fly before I go to breakfast at 5:45 a.m. At 6:15 a.m., the pilot in command, mission manager, John Sonntag and myself meet at Base Ops to get a weather brief for the day. The three meteorologists at Thule Air Base have known us for years and do an excellent job in providing us with a very detailed and specialized weather brief that we require for decision making. 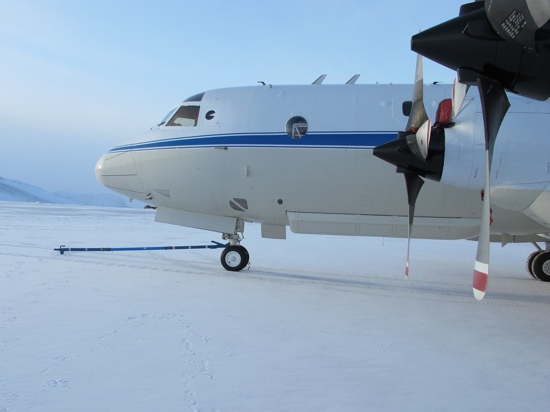 The demands for research flights are different from everyday air travel, and the polar environment poses great challenges in terms forecasting the weather. There is not a single weather station within hundreds of miles of our survey area that we could use to get a weather observation or that would provide observational data as input into a forecast model. Instead, we depend on satellite images that are several hours old. Visible images are dark for any area west of us. It requires experience and skill to interpret the forecast products for our purpose. 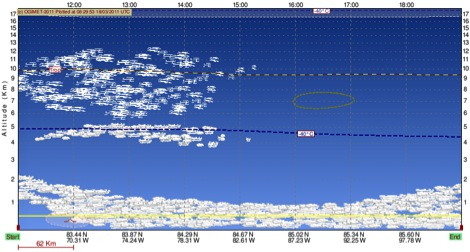 A few days ago, a model transect along our flight path showed dense cloud cover along the entire mission profile at 500 meters flight elevation calling for a no-fly day. We spent time with the meteorologists to understand the weather situation and decided to fly, despite the grim looking forecast. It was the right decision. The cloud layer depicted by the forecast model turned out to be a thin layer of haze that did not pose any difficulties for our laser and digital imagery sensors. Between 6:30-6:45 a.m. we make a go/no-go decision. If we fly, the aircraft gets pushed out of the hangar and the fuel truck arrives. We need to collect one hour of static GPS data on the ground to calculate high-precision trajectory data from our flights. At 7:30 a.m. the door of the aircraft closes and we taxi to the runway to be ready for an 8 a.m. takeoff as soon as the tower opens. We typically transit to the survey area north of Thule and then descend to 1,500 feet were we start collecting data. It’s still early in the season, which means missions west of Thule are flown in near-constant twilight, with the sun following us as we go west. When we turn around the western end of the line and fly back east, it immediately start getting lighter with every minute of the flight. During the flight the operators monitor their instruments and make sure we collect high-quality data. Occasionally, adjustments need to be made to ensure the instruments keep working. At 3:45 p.m. we typically land to leave enough time for a 1-hour post-calibration with the aircraft outside. By 5 p.m. the aircraft is rolled back inside the hanger and doors close for the night. John Sonntag and myself quickly stop by Base Ops for another weather brief to see what’s in the mix for the next day. At 5:30 p.m. we have a science meeting where we discuss plans for the next day and talk about issues that are worth sharing with others. After the meeting, most people go straight to dinner followed by a late evening spent backing up data and processing data. At 5 a.m. the next morning we start again. 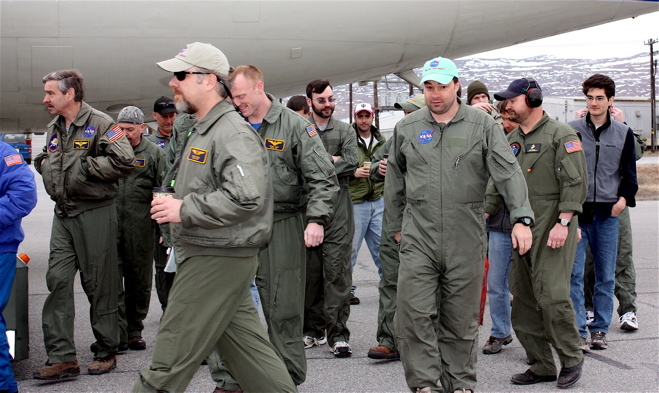 On March 14, NASA’s P-3B aircraft landed in Thule, Greenland, where it will be based for the first leg of the Arctic 2011 campaign of Operation IceBridge. It’s our third annual campaign over the frozen north, ensuring the continuity of ice elevation measurements that scientists use to monitor change. This year, IceBridge is bigger than ever before and delving into new areas of exploration. Read more about the Arctic 2011 campaign and watch the video here. Follow this blog throughout the 10-week campaign to read about the mission from the perspective of the scientists and crew on the ground (and in the air) who make the mission possible. They will give a behind-the-scenes account of individual flights and daily life in the field. They will share pictures and video from the sky and ground. And they will discuss the science questions being probed by the array of instruments onboard the flying laboratories. Welcome aboard!